These are but two examples one could cite in calling for a “flat tax” to replace the monument to esoterica that is the United States Tax Code. Actually offering-up such a suggestion, however, invites a familiar litany of responses including rolling of the eyes, exaggerated sighs, dismissive waves of the hand, and condescending insistences that “It won’t work” (with the addition of “you imbecile” unspoken—but generally understood). What it doesn’t seem to ever evoke is an explanation. Though quick to dismiss the notion, none of these supposed experts ever gets around to telling us why it wouldn’t work—which leads many of us to suspect that it actually could. Though there’s again no shortage of really smart people who claim that it wouldn’t work, there are also a lot of really smart people who insist that it would. Given how well the present system has worked out (hold your laughter, please), it might be time to consider it. While we’re at it, let’s take a look at voter registration; in fact, it could be made to dovetail nicely with a tax code revision. First, require that a tax return be filed by everyone eighteen years of age or older (whether they had any income or not) and by everyone — regardless of age — who has income of any sort. If the new scheme is to continue allowing exemptions, then everyone would get to claim one exemption for themselves — just as under the current scheme — and one exemption may also be taken for each dependent child. Require also that both names and Social Security numbers for filers and dependents alike (yes; even infants) be affixed to each return. (Those under eighteen who are claimed as dependents would see their tax withholdings refunded. It’s only fair; many are high school kids with part-time jobs, anyway—and it’s simply wrong to demand taxes from those who are not yet old enough to vote.) There may also be room in this proposal for allowing the dependent exemption to continue until a later age (twenty-two, perhaps?) for full-time students. 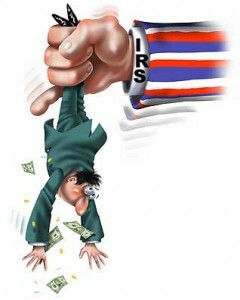 All other income withholding continues in its current format (e.g., Social Security, disability, etc), and tax is assessed only on net income. Since Social Security numbers are required for tax returns, there’d be greater accountability both for tax revenue and to ensure that those who file returns are eligible for employment in the U.S—an added bonus that just might help curtail illegal immigration. Funds withheld and deposited to Social Security accounts that are not accounted for by corresponding tax returns would trigger an alert to IRS—and to ICE (Immigration and Customs Enforcement). That’s it. No deductions. No exceptions. Upon IRS receipt of the tax returns, filers who are also eligible to vote would automatically be registered to do so, and would be issued voter eligibility certificates that must be presented when voting. And since everyone would be required to file a tax return, other manners of voter registration — notorious for being rife with fraud — could be done away with altogether. Voter registration would expire after one year; it would then be automatically reinstated with the filing of the succeeding year’s tax return, and a new eligibility certificate issued—obviating the need to maintain voter rolls. You pay taxes according to a code that doesn’t require a Rosetta Stone to decipher, you file a tax return, you vote; it’s just that simple. No more ACORN-like voter registration scandals, no more non-citizens voting, and those long-buried corpses that miraculously spring back to life every few years (just long enough to cast ballots) would finally be laid to rest—permanently. Only one way to find out for certain—but it’s unlikely to be any worse than the current system, in any event.